Hampton Inn & Suites Albuquerque Airport features accommodation in Albuquerque. Built in 2016, the property is within 2.1 km of University Stadium. Guests have access to a hot tub and fitness centre. Welcome to Hampton Inn & Suites Albuquerque Airport, located just blocks from Albuquerque International Sunport (ABQ). 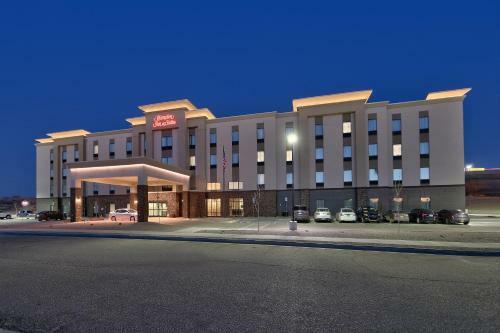 Our stylish new hotel is just off I-25 and only 5 miles from the Albuquerque Convention Center.